"Everybody has that one relative who can't help but cause problems over the holidays. Even Santa." 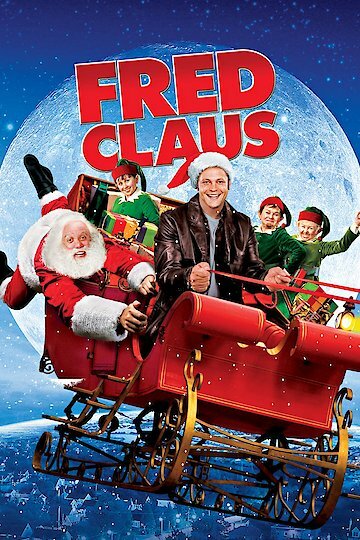 In this comedy, Vince Vaughn stars as Santa Claus' underachieving brother, Fred. When Fred gets in trouble with the law, Santa comes to his rescue and tries to help him get his life back on track by giving him a job at the North Pole. As often happens, though, Christmas comes under threat from unforeseen circumstances, and the underqualified Fred must step up to save the holiday from certain disaster. Paul Giamatti stars as Santa, and the film was directed by David Dobkin. Fred Claus is currently available to watch and stream, buy on demand at Amazon, Vudu, Google Play, FandangoNow, iTunes, YouTube VOD online.